Silver Lake Thai wine bar Same Same is launching new Thai tacos at an event called Same Same but Taco on Monday, August 20! 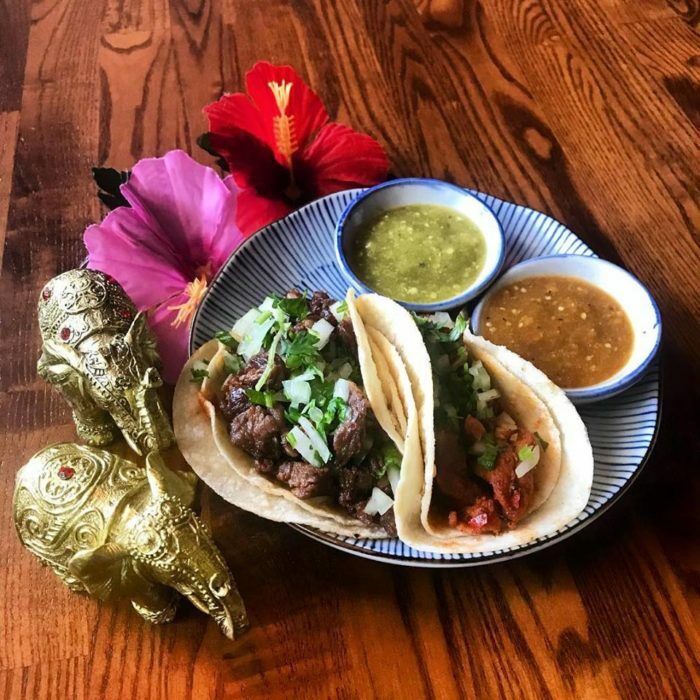 This cut-above Thai eatery with a celebrated wine and beer list will be offering these fusion tacos uniting two of L.A.’s most beloved cuisines — Thai and Mexican — with a plate of two Thai-inspired al pastor and carne asada tacos for $8. Match up the plate of tacos with a Singha beer for an extra $3 (normally $6). Tacos will be offered until 11:30 p.m. (or until they run out). Same Same will also offer happy hour from 5:00-7:00 pm. Cheers!